Applied Neurosciences (Neuro Marketing, Neuro UX / Design…) share the same technologies and protocols of pure neuroscientific research, a science dealing with the nervous system study and the correlation among psychological functions and neural circuits. The measurement of neurophysiological parameters allows to indirectly evaluate cognitive-attentive and emotive-affective indicators, in reaction to external perceptual stimuli. 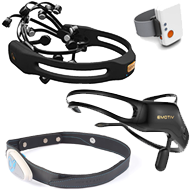 Neuro Technologies applications span from commercial (Marketing) to medical sector, adapting protocols and tools to specific research areas and objectives. 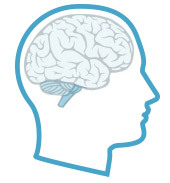 BRAIN2MARKET’s technology precision is optimized for applications in Marketing and UX areas (maximum precision and minimum invasivity). In-house research and development activities integrate the most advanced tools available on the market with innovative proprietary solutions, at the hardware and software level. Integrated Neuro Technologies (Eye Tracking + Biosensors) and Artificial Intelligence Algorithms (Machine Learning / Deep Learning) allow to measure and interpret attention, emotion, cognition and behavior in target subjects. An innovative and strategic tool for market research (Neuro Marketing) and user experience evaluation (Neuro UX / Neuro Design). 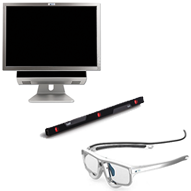 Ocular tracking and pupillometric analysis allow to measure the subject’s attention path. Brain waves analysis allow to measure the subject’s emotion intensity, valence and cognitive load.